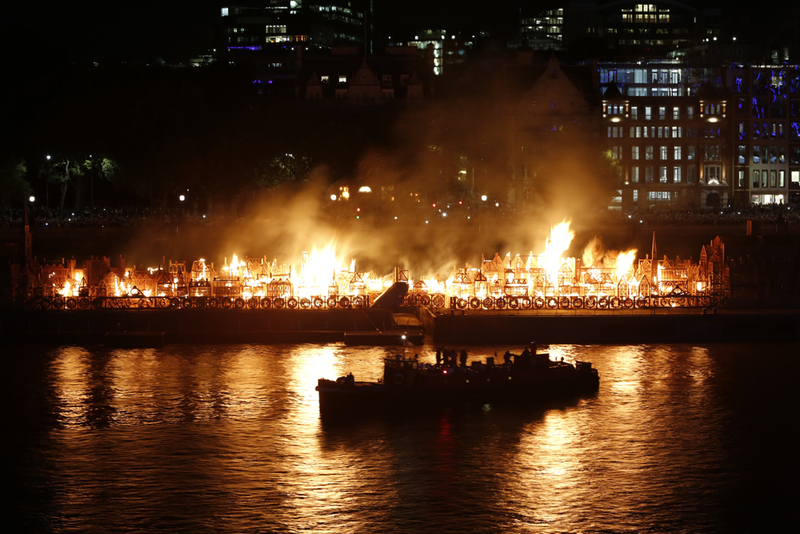 London blazed again on Sunday night when a 120 metre long wooden replica of the city as it was in Restoration times was set alight to mark 350th years since the Great Fire of London. 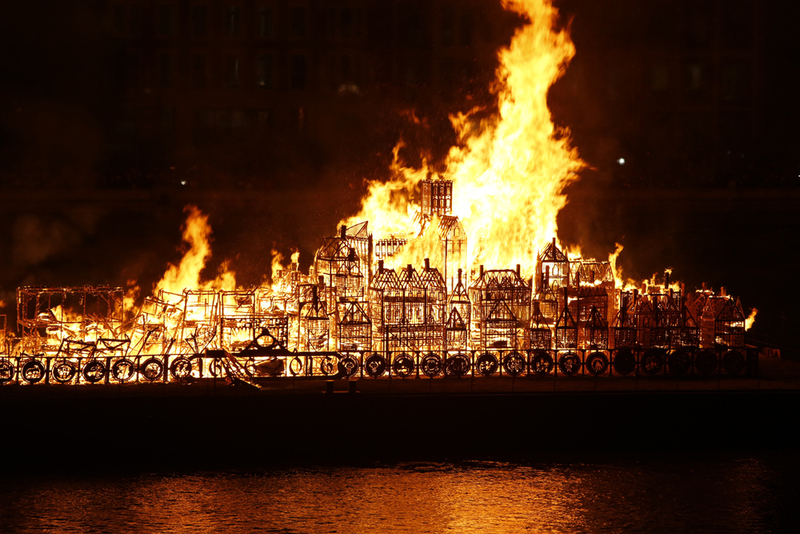 London 1666 was designed by US “burn artist” David Best for London’s Burning – a festival of events in the City of London produced by Artichoke to mark the anniversary. It had been placed on a barge moored in the River Thames before it was lit up to ensure that the fire didn’t spread anywhere it wasn’t wanted. The actual Great Fire of London broke out in a bakery on Pudding Lane shortly after midnight on 2nd September, 1666, and blazed across the city for four days, destroying more than three quarters of the old City of London as it render tens of thousands of Londoners homeless and devastated iconic structures like Old St Paul’s Cathedral. You can see a video of the burn here. PICTURES: © Matthew Andrews.